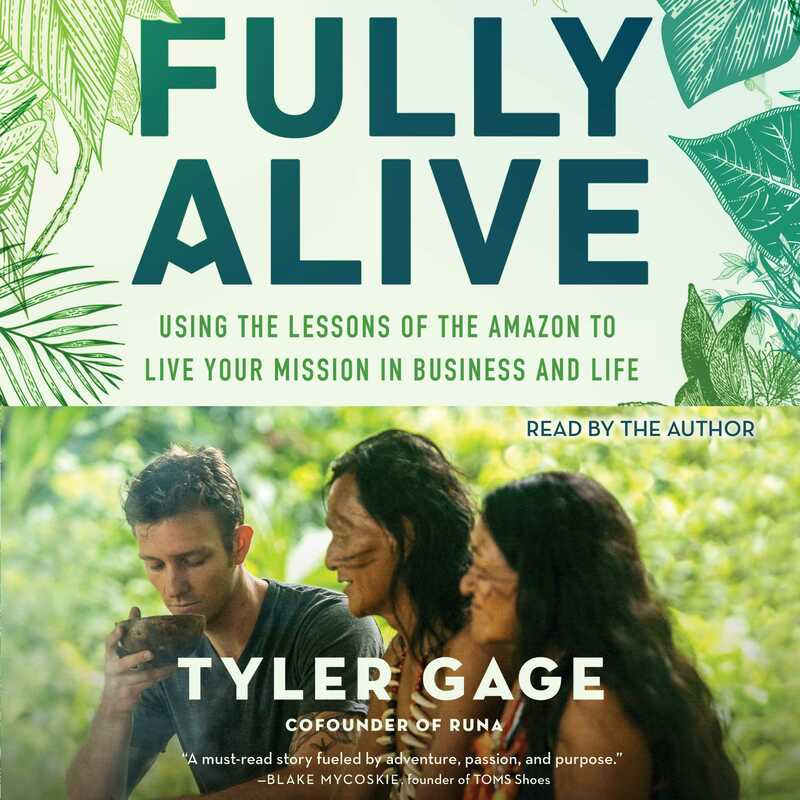 Fully Alive tells the story of an astoundingly successful young entrepreneur’s immersion in Amazonian indigenous spirituality, its life-changing impact on him, and how he integrated the lessons he learned to build a successful, socially responsible company, live a purposeful life, and make a difference in the world. Building a start-up is like being thrust into the middle of the Amazon rainforest: living every day on the edge of your comfort zone, vulnerable to the unexpected challenges constantly being thrown your way, and constantly shifting to meet daily demands and do everything and anything you can to survive, let alone thrive. Vulnerable, raw, and deeply transparent, Fully Alive reveals powerful tools and lessons that can teach all of us how to grow toward and beyond our personal edges, no matter our circumstances. Tyler Gage shares his spiritual adventures and the business savvy that helped him create RUNA, a pioneering organization that weaves together the seemingly divergent worlds of Amazonian traditions and modern business, demonstrating how we can dig deeper to bring greater meaning and purpose to our personal and professional pursuits. From suburban youth to immersion in the Amazon to entrepreneurial success, Tyler's journey clearly shows that passion and opportunity can be found in the most unexpected places. Captivated by a rare Amazonian tea leaf called guayusa that had never been commercially produced, Tyler started RUNA to partner with the indigenous people of Ecuador to share its energy and its message with the world. Using the spiritual teachings, lessons, and healing traditions of the Amazon as his guide, Tyler built RUNA from a scrappy start-up into a thriving, multimillion-dollar company that has become one of the fastest-growing beverage companies in the United States. With the help of investors such as Channing Tatum, Leonardo DiCaprio, and Olivia Wilde, RUNA has created a sustainable source of income for more than 3,000 farming families in Ecuador who sustainably grow guayusa in the rainforest. Simultaneously, RUNA has built a rapidly scaling nonprofit organization that is working to create a new future for trade in the Amazon based on respectful exchange and healing, not exploitation and greed. Practical tools and lessons are woven throughout the story of Gage’s successes and failures, offering guidance on how to relate to obstacles as teachers and how to accomplish our personal and professional goals in the often uncertain circumstances we find ourselves in. 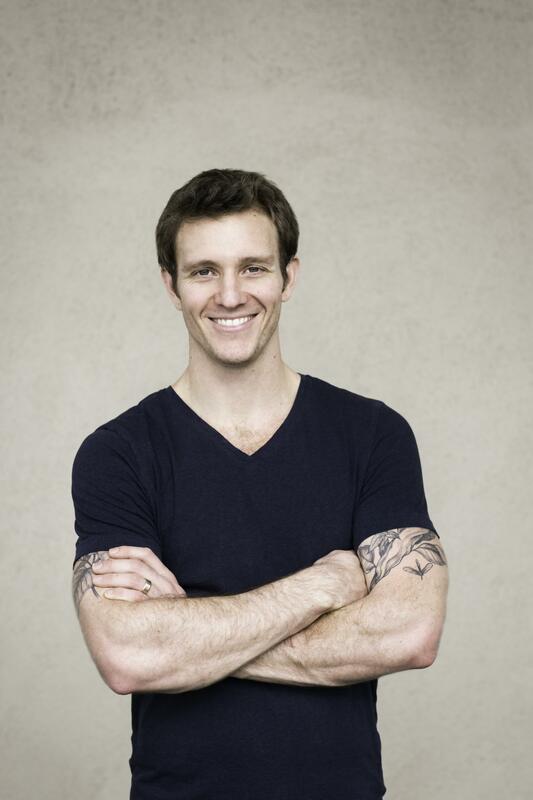 Tyler Gage is the cofounder and CEO of RUNA, a social enterprise that makes energizing beverages with guayusa, a rare Amazonian tea. RUNA now supports more than 3,000 farming families in Ecuador who grow guayusa organically, and RUNA products are sold in over 10,000 stores across the U.S. and Canada. For his work on RUNA, Tyler has been named a Forbes “30 Under 30 Entrepreneur” and the Citizen Leader of the Year by the Specialty Food Association. He is also the founder of PlantMed, an organization dedicated to building the world’s first centers for the practice, research, and preservation of Amazonian plant medicine. Gage and RUNA have been featured by ABC’s Nightline, National Geographic, Fast Company, and in Richard Branson’s book Screw Business as Usual.